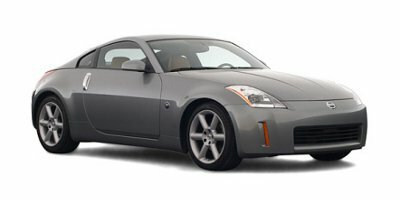 When Nissan returned to its sports car roots by releasing the Nissan 350Z coupe in 2003 – and then following it up shortly with the 350Z roadster – the aftermarket performance world sat up and took notice. Both the 350Z and its 370Z successor have proven to be a hit with drivers interested in a car that can not only be brought to the track, but which doesn’t sacrifice day-to-day drivability in the process of earning its competition stripes. Given that the 350Z is intended primarily as a road course warrior, rather than a drag strip king, the exhaust systems available for the car tend to enhance power at high-revs. There are also several racing series which make use of the 350Z as one of their main platforms, which has allowed for track-oriented exhaust innovations to trickle down to the aftermarket. A 3.7L V6 in the 2009 and up 370Z that is good for 331 horsepower. A special NISMO edition of this engine churns out an additional 19 ponies. The stock exhaust on both of the Nissan coupes sounds surprisingly good for a V6, as Nissan engineers were able to dial in an evocative, full-throated tone that is evident at both full and half throttle. This is partially due to the fact that the 350Z and 370Z are meant to offer a complete sports car experience, which includes the entire aural, visual and visceral package. You will notice a lot of Japanese exhaust manufacturers mixed in with a few of the usual suspects when it comes to the options available for these Nissan sports cars. Each of these vehicles has a huge following in Japan, and that aftermarket support has carried over to America. 1. Do your brand homework. You might not be familiar with Blitz, GReddy, or HKS (or maybe you are, given that you are a Japanese performance car fan). Nevertheless, these are quality manufacturers who deserve respect when it comes to the systems and components they can provide to Nissan drivers. 2. Consider the NISMO route. Nissan’s in-house tuning division, NISMO, has a lot to offer 350Z and 370Z owners when it comes to exhaust systems – usually with a factory warranty included. 3. Watch out for cheap knock-offs. There is always an element in the after market looking to prey on younger drivers who maybe aren’t as familiar with which brands offer the best performance for the dollar. Cheap, low quality mufflers and headers are out there, so make sure to ask around before committing to buy from a vendor who seems to be more interested in selling you on price than performance.